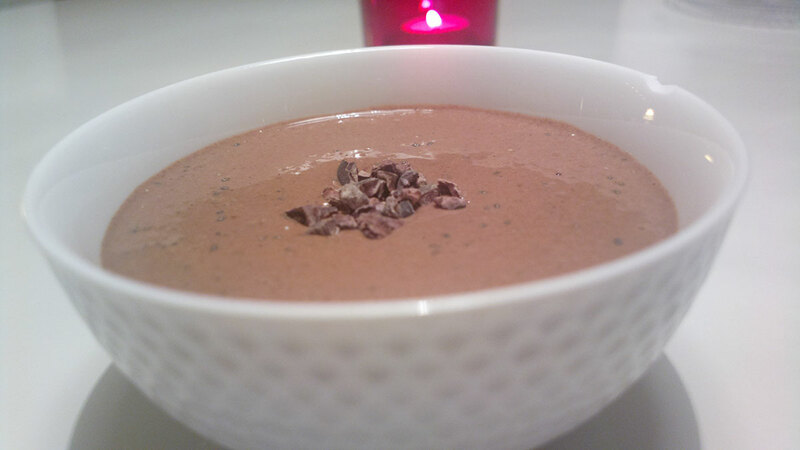 Chia Chocolate pudding, delicious breakfast! Ok this takes no time, honestly! Puree everything except the chia-seeds and cacao nibs together in your blender or with a hand held blender (for instance in your Pyrex 500ml measuring jug). Add the Chia seeds and stir now and then for about 8-10 minutes until this starts to resemble a chocolate porridge. Add whatever you like on top, cacao nibs, Goji berries or other, not necessery. Enjoy! ♥ Stevia is a herb that does not contain any calories nor does it raise our blood sugar levels. Make sure you buy pure organic Stevia. Stevia is completely natural. Use it carefully to begin with since it is 100-300x sweeter than sugar. ♥ I always have in my cupboard Vitamin C in powder form and sometimes add 1/2 tsp into my Chia puddings and shakes! What is so amazing about Turmeric? No Replies to "Chia Chocolate pudding, delicious breakfast!"